Western New England University is here to assist you in your search for a university that fits your goals, ambitions, and learning style. You can chart your own course while earning a degree of distinction. Great news—it’s not too late to transfer! Our Transfer Admissions are rolling, which means you still have plenty of time to get your application in—we’ll even waive your application fee (with the waiver code WNEVIP)! housing on campus. We will make every effort to accommodate special roommate requests. Will qualify for our highest Transfer Scholarship of $16,000 per year! If you choose not to live on campus, we still offer generous Merit Scholarships. Plus our cost is similar to Mount Ida, so why not consider joining our Golden Bear family? 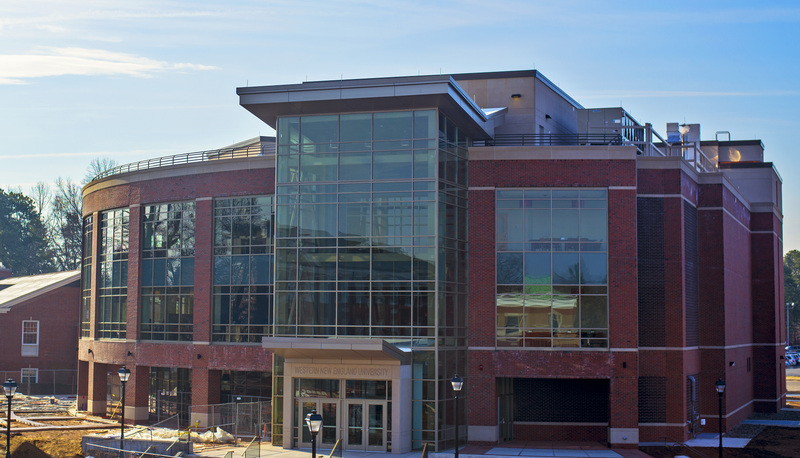 Located on a picture-perfect campus in western Massachusetts, Western New England University offers you both the personalized attention and outstanding facilities of a new and evolving private university. With 47 undergraduate programs in our Colleges of Arts and Sciences, Business, and Engineering, you are sure to find the right major and minor for you. With our AASCB-accredited College of Business and 12 majors in the science fields (including Forensic Science, Forensic Chemistry, and Pre-pharmacy), you’ll be able to position yourself at the top of any field you choose. For your future degree needs, our School of Law and College of Pharmacy and Health Sciences also offer a variety of master’s, doctoral, combined, and juris doctor degrees in Law, Pharmacy, Occupational Therapy, and more. With a wealth of resources and mentors for transfer students, you won’t get lost in the shuffle! We will do everything possible to make sure your transition is a smooth one—you can count on us to be your home for the remainder of your college education. Parents and Students: you are always welcome to come tour our beautiful campus and meet with Admissions Counselors. Additionally, we are also holding an Accepted Transfer Student Event on April 21, where you can meet with a financial aid counselor and discuss your financial aid package. We understand that this is a difficult time, and are confident that we can help you succeed. If you have questions or concerns, we’re here for you! Please contact Michael Russell, Senior Associate Director of Transfer Admissions at 413-782-1321 or michael.russell@wne.edu. The undergraduate residential experience is all about making connections to new friends and new experiences. 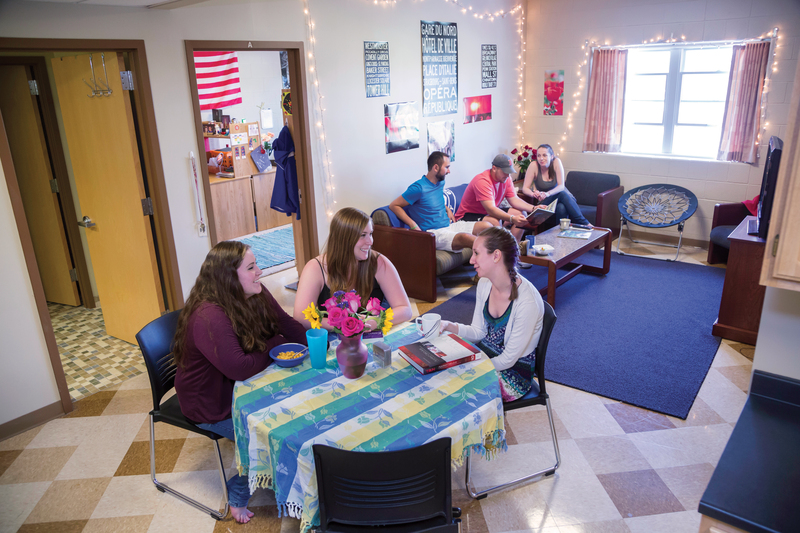 More than just great physical spaces for living, studying, and socializing, our residential options encourage you to immerse yourself in campus life. You’ll be among the first students to experience our brand-new four story Dining Commons, designed to provide a variety of meal options, whether you are on-the-go, or looking to sit down and relax. The Office of Student Activities & Leadership Development offers exciting opportunities to get involved on campus. From events to clubs and organizations, and a variety of entertaining and educational off-campus trips, there’s always something going on. Student Activities makes Western New England University the vibrant campus it is, so don’t be afraid to get involved! The campus of Western New England University is located in a residential neighborhood of Springfield, Massachusetts. Springfield is the third largest city in Massachusetts with about 154,000 residents. It is less than 90 miles/150 km west of Boston and less than 140 miles/230 km northeast of New York City.